When you type a URL for a website or any other link in MS Word 2013, in order to follow the link and go to the website or the linked object, you are required to press and hold down the Ctrl key while clicking the URL. If the Ctrl key is not pressed, the entire URL can be selected as a normal text, and if clicked between the URL, the cursor is placed considering the URL as a simple text. 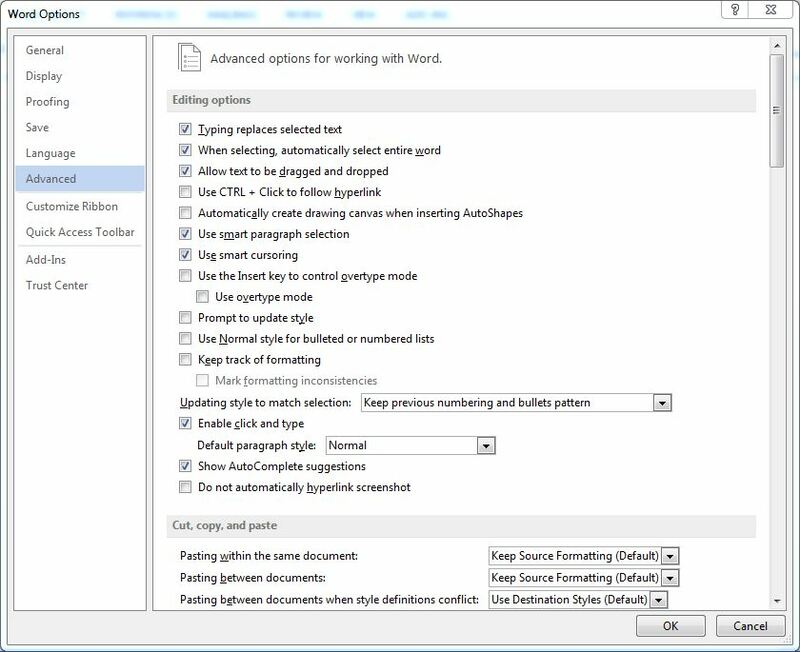 This configuration in MS Word 2013 has been set as default in order to make it easier for the users to edit the typed URL in case it was mistyped. This kind of modification was not otherwise possible in earlier versions of MS Office when the URLs were by default accepted as the hyperlinks. However the developers of MS Word understand this confusion of the end users, and they also realize that the users who used to work on earlier versions of MS Office would not appreciate the new behavior of the URLs in the application. Considering these consequences, they integrated a checkbox to control the behavior of the typed URLs. This means that when the checkbox is checked, the users are required to press and hold down the Ctrl key while clicking the typed URLs to follow the link. Likewise, if the check box is unchecked, the typed URLs are directly accepted as the hyperlinks and a normal mouse click takes the users directly to the linked website or object. ■Log on to the computer using the account on which MS Word 2013 configuration is to be made. ■Once logged on, open any existing Word document or create a new one. ■On the opened interface, go to the FILE tab. ■From the displayed list, click Options. ■On the opened Word Options box, click to select Advanced option from the left pane. ■From the right pane, under the Editing options section, uncheck the Use Ctrl + Click to follow hyperlink checkbox. ■Once done, click OK to save the changes. ■Restart MS Word 2013 to allow the changes to take effect. Thermaltake View 37 not linking with aura sync? Conflict between Corsair LINK and AI Suite? am not getting any link sites from torrentz search engine? Why does the torrent link not open with the bittorrent or utorrent when I click on it? Microsoft office 2010 filter pack 64 bit - KB2460041 Where can I find a good link to this?